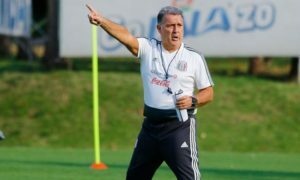 In what has been a post-World Cup international friendly series that has seen El Tri appear to make little progress in finding a permanent first team manager or put on positive, protagonistic displays to hold supporters over until the competitive matches begin in 2019. Fortunately, El Tri has a chance to challenge itself in the last fixtures of any kind in 2018 when it travels to Argentina to take on the host Albiceleste in a friendly series starting on Friday, November 16. The two national selections have some things in common at this point. Like El Tri, the Argentina national team has not appointed a permanent manager. Scaloni, who has served as caretaker manager since the end of the World Cup, is directing the team’s strategies against El Tri. And the two teams will be convening during the intersection of several major events taking place toward the east of where the teams are playing–a SuperClasico Copa Libertadores final between Argentina’s two most popular clubs (Boca Juniors and River Plate), a series of major spring rainstorms that are traditional in the region, and the preparations for the G-20 summit. The selection of player that Scaloni called into the side, even without Lionel Messi, Sergio Aguero, Gonzalo Higuain, or the contingent of regulars suiting up for Boca Juniors and River Plate, is expected to play through El Tri and play to take advantage of El Tri‘s skill disadvantage at every position in the game. 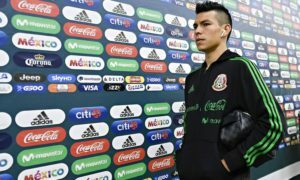 Worse for those expecting a big show by El Tri, Hirving Lozano, who was often one of the only players who consistently showed an individualism to make and finish chances successfully in El Tri‘s previous friendlies, withdrew from the national side. 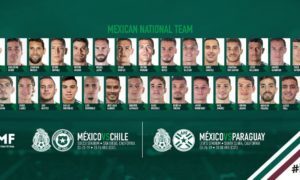 Whether it is dealing with Internazionale captain and central striker Mauro Icardi, and his possible positional interchanges with Paulo Dybala or a midfield that could include the directorial Giovani Lo Celso or Lautaro Martinez, or their defensive corps when El Tri chooses to attack, El Tri could find itself frustrated throughout the entire match. 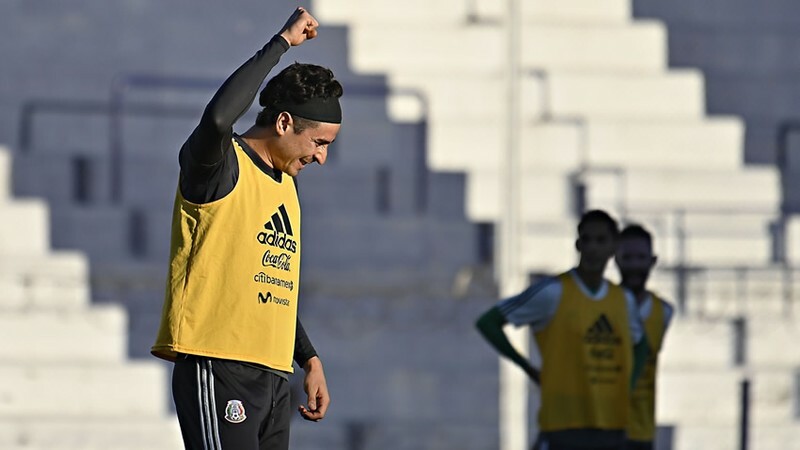 To make the task to do anything harder, El Tri found its training schedule to be significantly shorter than it had hoped because of delays in arriving in Cordoba arising from rainstorms that have blanketed northern Argentina during the original traveling days and other logistics issues. The Albiceleste, however, did not appear to be fazed by logistical issues even though they elected to conduct most of their training in greater Buenos Aires, close to 700 km away from the match site. And during Thursday’s press conference, Lionel Scaloni announced the likely starting lineup he’d send out against El Tri. The lineup includes Club America arquero Augustin Marchesin, a defensive line of Renzo Saravia, either Juan Foyth (who is doubtful for the game due to suffering a deep cut) or Gabriel Mercado, Ramiro Funes Mori, and Nicolas Tagliafico, a midfield consisting of Angel Correa, Giovani Lo Celso, Leandro Paredes, and Marcos Acuna, and Paulo Dybala and Lautaro Martinez as the forwards. Friday’s match at Estadio de Mario Alberto Kempes will also be the only match that would feature any of the Europeos, with ‘Tuca’ Ferretti confirming on Wednesday that he would let the Europeos return to their club after the match. El Tri, if looking for a result more than a display against a team that is more skills than they are, does not have recent history on its side. Of the last seven times El Tri and the Albiceleste have played, the Albiceleste won six of them, drawing the other occasion. El Tri has also not defeated Argentina in any competition since earning a 1-0 win against their hosts in the 2004 Copa America. If there is one thing going for El Tri, it is the match atmosphere could be fairly quiet. Tickets to Friday’s match at Estadio de Mario Alberto Kempes have sold so poorly, that the AFA has had to hold promotions to boost its ticket sales for the match. The match kicks off at 7:00 PM EST (UTC -5) and can be seen on UniMas and UDN in the United States and on Azteca 7, Canal 5 (Televisa), TDN, and UnivisionTDN in Mexico, and wherever those games could be streamed.